In the eighties, there used to be a never very popular Swiss thrash metal band called Poltergeist. After their split-up, some members formed a new band called Gurd and they have just released their sixth album. I'm not very acquainted with their past, but while listening to the 13 tracks on Encounter, you hear that they mix new elements into the classic thrash metal music. The opener Razorblade is a fine start into the album as it is thrashy and fast. You Can't Take Back is very strongly bass orientated and shows nu metal like vocals. Although the bass lines make the songs quite groovy, they luckily are never funky, an element which I don't appreciate too much in metal music. Mayday underlines that Gurd also have a feeling for melodies in their music. Two of my favourite songs are Decision and Strive which are very intense and close to emo core. 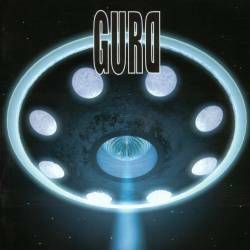 Without being too trendy, Gurd have been able to create a contemporary metal album free from clichés.